Format: Sony FS7 with Zeiss Contax Primes. A dance based feature directed by Impermanence Dance Theatre, featuring voice over by Billy Zane (Twin Peaks, Zoolander 2), and starring Sonya Cullingford and Peter Clements. Format: Sony F3 with Zeiss CP.2 Primes. A pilot for a kids cookery show concept, written by and starring Rew Lowe, following the adventures of 1970's italian spy film inspired secret agent and chef Mr Zazzizi. Format: Sony F3 and FS7 with Canon K35 Primes. A dark comedy drama about two secretive, villainous, and hapless shop owners in the small village of Hellwood, Dorset. Written and directed by Paul Wilkinson. Format: Canon C300 with Canon CN-E Primes and Lensbaby. Gut-wrenching horror starring Rory Wilton (Poldark, Doc Marten) as a revengeful doctor. Directed by Luke Formosa. A Channel 4 Random Acts commissioned short, directed by Ben Davies and Joe Trickey. A foolish son returns home for Christmas dinner to find his Mum has invited a few special guests. Format: Arri Alexa Mini with Zeiss CP.2 Primes. Bristol-set short film telling the story of the relationship between two brothers and their vastly different experiences of the care home in which they both grew up. Starring Joseph Quinn (Dickensian, Game of Thrones), Sunetra Sarker Casualty), and Jack Hollington. Directed by Helena Middleton. Format: Canon 5DmkII with Zeiss Contax Primes. An aerialist embarking on her career is derailed when her brother returns from overseas, bringing back past obsessions. Directed and shot by Jack Offord, starring Alexandra Mai, Oliver Park, and Jason Bailey. Format: Canon 5DmkII with Nikon AI Primes. A recent graduate finds her footing in the world of post-crash austerity. Directed and shot by Jack Offord. 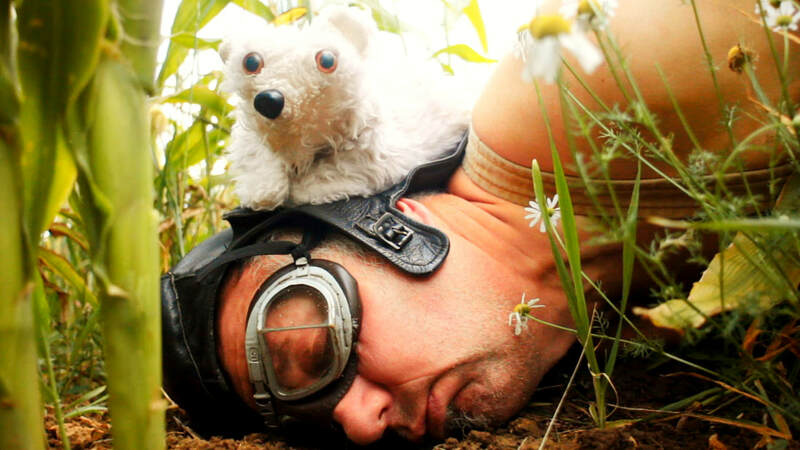 Hoffbrau, a polar bear in Somerset finds itself hunted by the enigmatic Bubba Trott. Hoffbrau enjoyed a surprise resurgence from internet oblivion when it was programmed in Shortstack, a programme curated by The Jim Henson Foundation, part of BAM Kids film festival 2018 in Brooklyn. Directed by Jack Offord and Emily Trott.